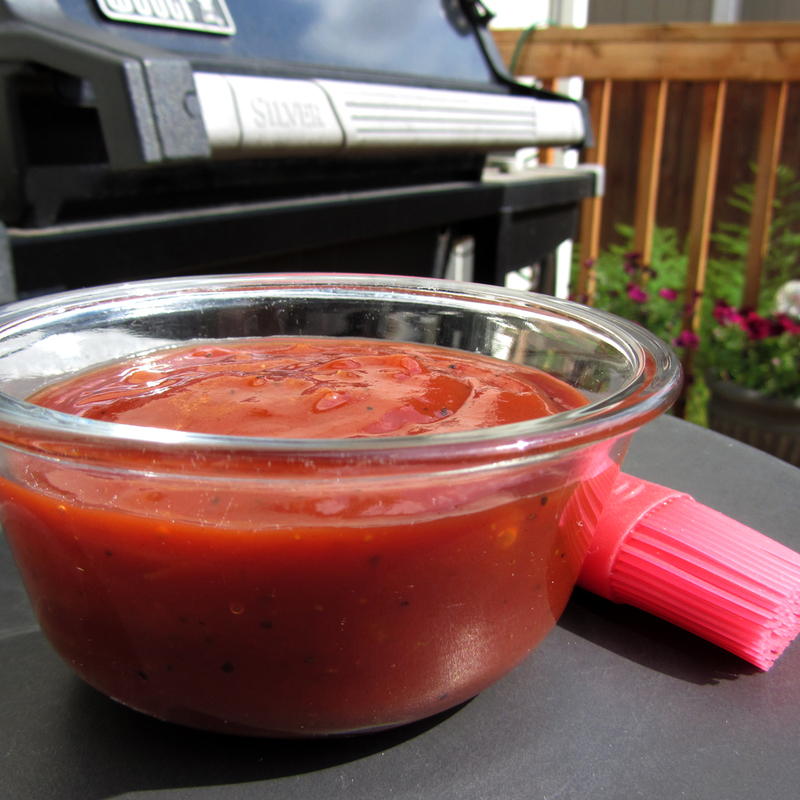 BBQ, an essential sauce of summer. Great on almost anything - burgers, sandwiches, chicken, pork, beef, fries, and mixed into a plethora of different sauces and dips and dressings. I've tried many different barbecue sauces. My non-homemade favorites are Kraft Original and Famous Dave's Devil's Spit. And, if it's going on a steak, Gate's is great, too. But, as good as those sauces are, it is equally nice to have at least one good BBQ sauce recipe under your belt. I have a few that I make for different applications. This recipe is a good all-around sauce. Great for brushing, dipping, and mixing to your heart's content. It is the culmination of research, trial, and error, though the base comes from The Secret Recipe Blog. This recipe makes a nice thick sauce, sweet and smoky (as I'm sure you gathered from the name). It's quick to make and tastes great (even better since you made it yourself). So, cook up a batch for this weekend - or tonight! 1. Stir the ketchup and brown sugar together in a medium saucepan until smooth. Add the remaining ingredients. Stir to blend. 2. Set the pot over medium-high heat. Bring to a boil. Reduce the heat and simmer for 15 minutes or until thickened (sauce will become even thicker as it cools). 3. Transfer the sauce to a bowl and allow it to come to room temperature. Cover and chill for at least one hour (sauce can be used immediately, but will taste better if you allow the flavors time to blend). 4. Give the sauce a quick stir. Serve!